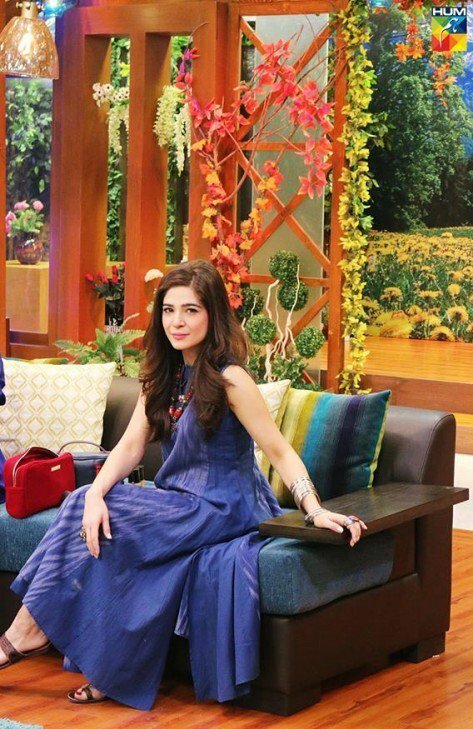 Ayesha Omar is a famous Pakistani actress, host, singer and model. 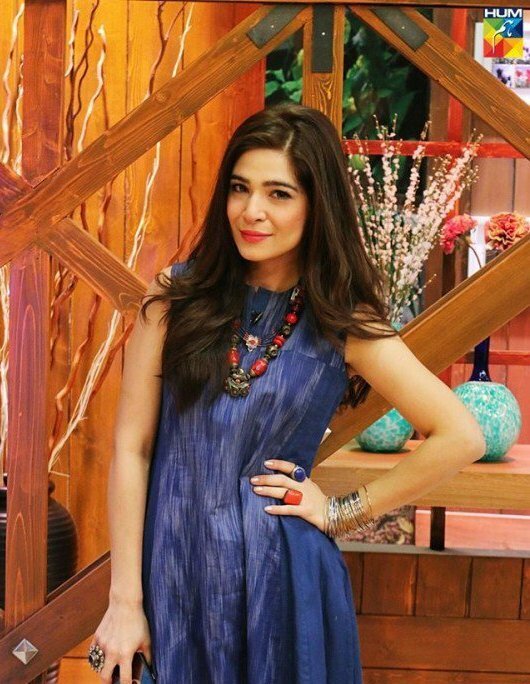 She has performed in several dramas but her most popular role is ‘Khoobsurat’ in famous sitcom “Bulbulay” on ARY Digital. 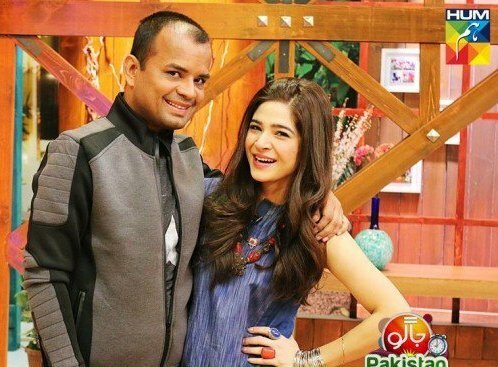 She debut her film career with movie “Karachi Se Lahore”. 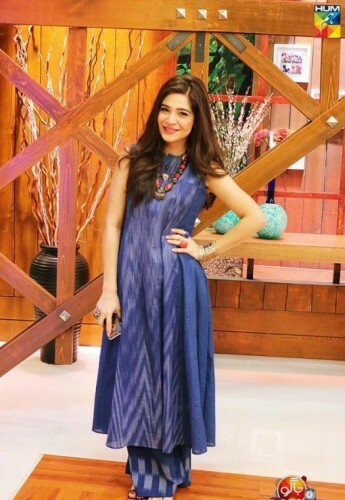 Recently, she hosted the First HUM Style Awards. 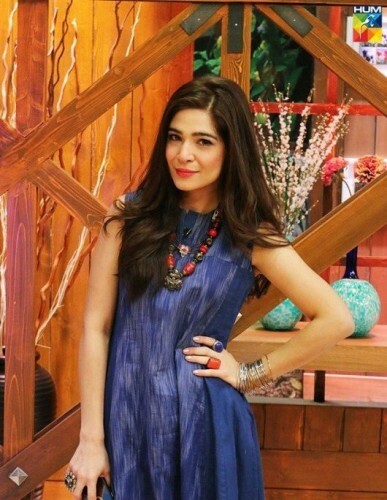 In her film “Karachi Se Lahore”, Ayesha Omar sung the song “Tutti Fruiti”. 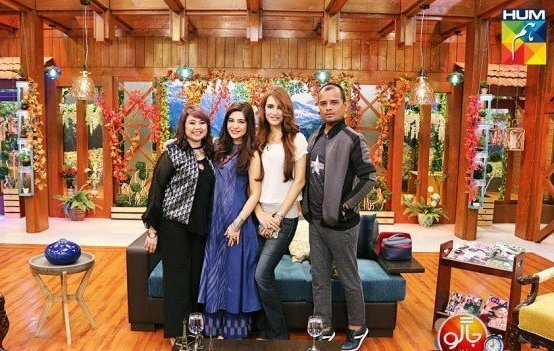 Few days ago, Ayesha Omar participated in famous HUM TV morning show “Jago Pakistan Jago”, hosted by Sanam Jung. There, Ayesha Omar was wearing a long blue air line shirt in which she was looking marvelous. 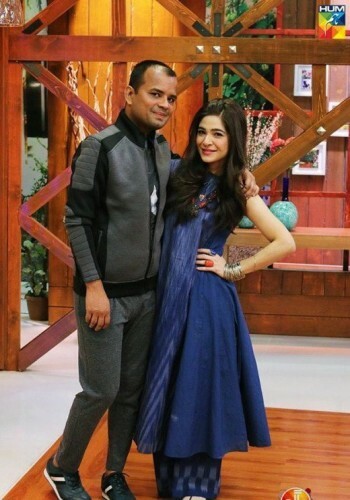 She used suitable accessories with her dress. 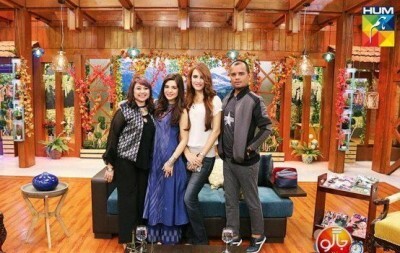 But the question arises that whether long shirts are still in the fashion? Appearance of Ayesha Omar in long shirts shows that it is still in fashion because our celebrities follow latest fashion trends. In film “Ae Dil Hai Mushkil”, Anushka Sharma was also wearing log shirts.